Ducted gas heating is a very effective and affordable method of keeping you and your family warm during the colder months of the year that provide good value for money. Ducted heating has many advantages over reverse cycle heating, one of them being that it is a cheaper option for heating a property. 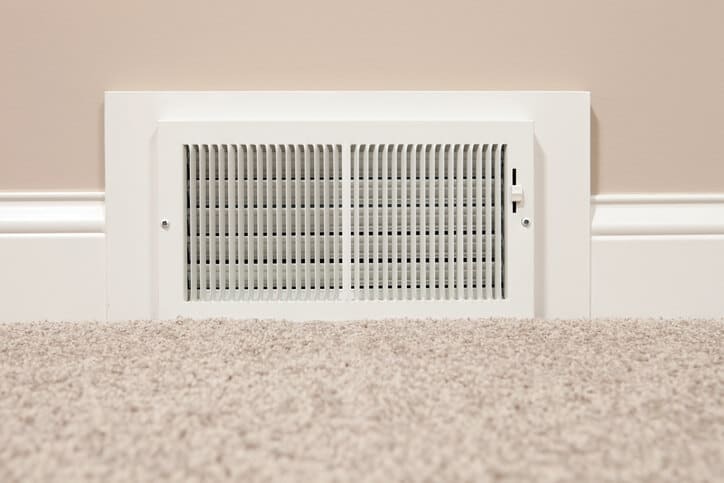 Ducted heating is cheaper to both operate and purchase than electric systems and reverse cycle systems. However, if you want a unit that can keep you cool as well, you may need to either add on an evaporative cooler or a cooling fan coil. Naturally, this add on can be included in any ducted heating repairs work Everlasting Air can perform in Doncaster, Cranbourne, and anywhere else in Melbourne. If you are searching through the heating and cooling companies who can travel to Cranbourne, Doncaster, and other suburbs in Melbourne’s east, look no further than Everlasting Air. We can inspect your home to see if it is suitable for a ducted heating installation and give you an onsite quote for our service. Another factor to keep in mind when shopping around for a ducted heating system is its star energy rating system. The higher the star is, the better the system performs. This guides people looking to buy a unit by giving them a better understanding of different comparable ducted gas systems and their energy efficiency. Ducted gas heating systems operate twice as fast as electric and reverse cycle heating systems, meaning you will get warmer sooner. Ducted heating does not rely on outside air, meaning your heating will not lose any of its efficiency despite how cold it gets outside. They can also be zoned to set particular rooms to specific temperatures, such as your dining room, bedroom, and kitchen. Ducted heating systems can be operated with an evaporative cooling system, meaning that you can have both heating and cooling in one unit. Naturally, if your unit is failing to perform, Everlasting Air can be contacted to perform our ducted heating repairs service. Everlasting Air are available for ducted heating repairs work anywhere in Melbourne, as well as installation. Contact us today on (03) 9335 2900 to speak with one of Melbourne’s top tier heating and cooling companies.